Honey and camomile – my new bedtime beverage before I drift off to sleep on my duck down pillows, which are incidentally my favourite kind of pillow, regardless of how unhygienic and allergy causing it supposedly is. Here’s my sketch of my vision of what I think my cupcake should look like. Apologies for my drawing skills – drawing was never my strong suit. Tip of the day : Make sure all utensils are absolutely spotless before attempted to beat your egg whites, otherwise…. well – let this photo be a cautionary tale. 1. Preheat oven to 160 Celcius (fan forced). Mix all the cupcake ingredients together and beat with an electric mixer for about 5 minutes or until light. Pour into a piping bag and pipe into cupcake liners for the neatest result. Bake for 20 minutes or until cake springs back when lightly pressed. 2. Whip egg white into soft peak stage in an electric mixer. Meanwhile, heat sugar and water to 121 Celcius. Pour sugar mix into egg white while mixer is running at low speed and then turn up to high speed. Continue to whip for another 5 minutes or until cool. 3. To decorate, watch the video tutorial I made here. If you wanted to know what my photography set up was, here it is! Just the usual settings – 60mm 2.8f shot with a Canon 7D and edited with Lightroom 4. My favourite part of Halloween has most definitely got to be the pumpkin carving. In case you were wondering, the moon was suspended using a length of flower wire and was curved to insert into the pumpkin and the moon at an angle rather than straight for retention purposes. It was highly enjoyable – looking forward to next Halloween. I thought I’d do something simple and fun this Halloween. Say hello to my chocolate bats! The process is fairly straightforward – pretty much the same method as the chocolate butterflies that I have made in the past with a different template and some flower wire. Also, the eyes of the bats are drawn in with toothpicks dipped in edible gold dust and vodka. If you’re desperate for a template – any template – to get started now, below is a scanned sheet of my roughly sketched bats and tree stump. I will eventually attempt to make a proper template but for now this will just have to do, internet people! I also tried out a new chocolate cake recipe which was amazing. The cake turned out extremely moist and dense with no grief in regards to technique or complex ingredients. Recipe from here. In terms of photography, I set up a black board on the dining table as below and took the photograph with a 60mm f2.8 lens. I hope you guys enjoyed this little project – I had fun making it. It’s been a while since I did anything fancy. I had an abundance of dried dates leftover from baking some sticky date puddings. 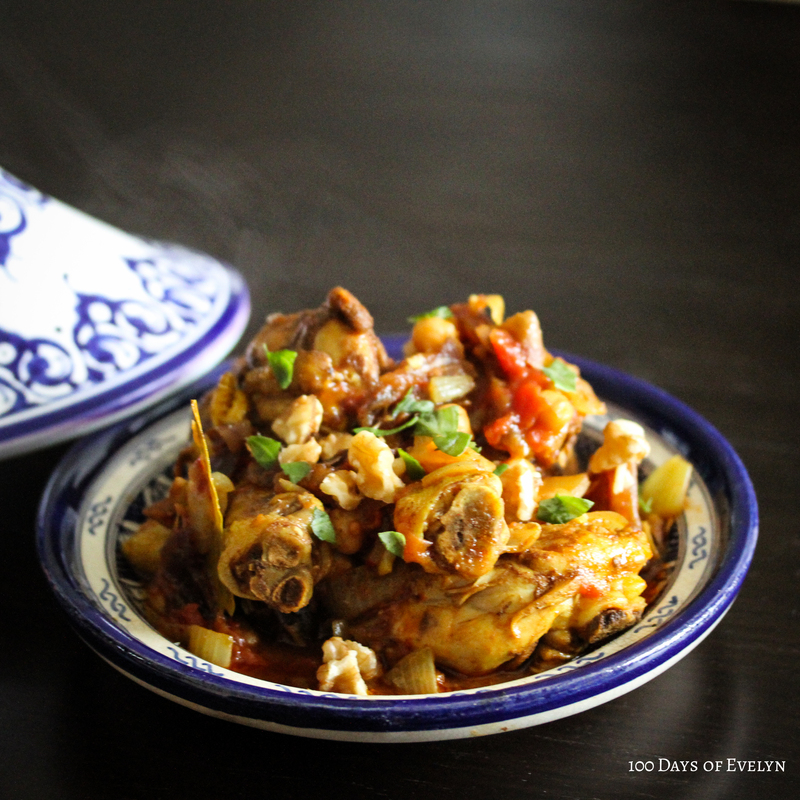 After an extensive amount of Pinterest-ing and Google-ing, I decided to give chicken tagine a go with a few modifications of my own based on what I had available in my pantry. Yes, this blog tends to be leaning on the dessert side but I thought I’d branch out today. 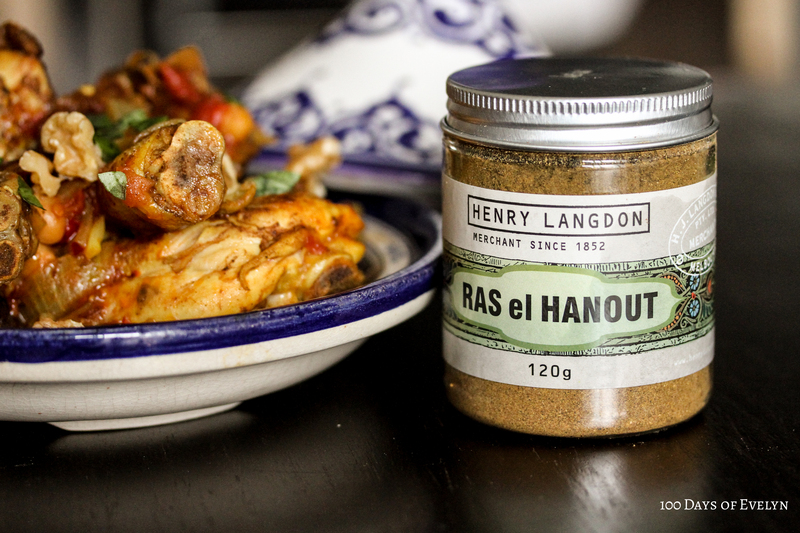 I had this spice mix in the pantry but you can use any Moroccan spice mix you can get your hands on with this recipe. Coat drumsticks in spice mix and fry for 1-2 minutes each side. Remove from pan. Saute onions and garlic in oil. Add in chicken stock, tomatoes and drumsticks and leave to simmer for 20 minutes, or until drumsticks are cooked through. Season with sugar and salt to taste. Add in chickepeas and dried dates and continue to simmer for another 5 minutes. Remove from heat. 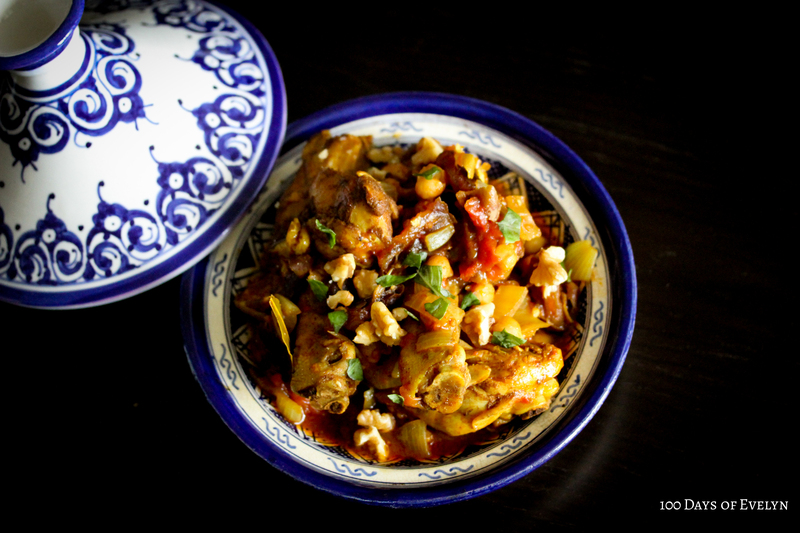 Serve with chopped walnuts and coriander. Serve with couscous or rice. 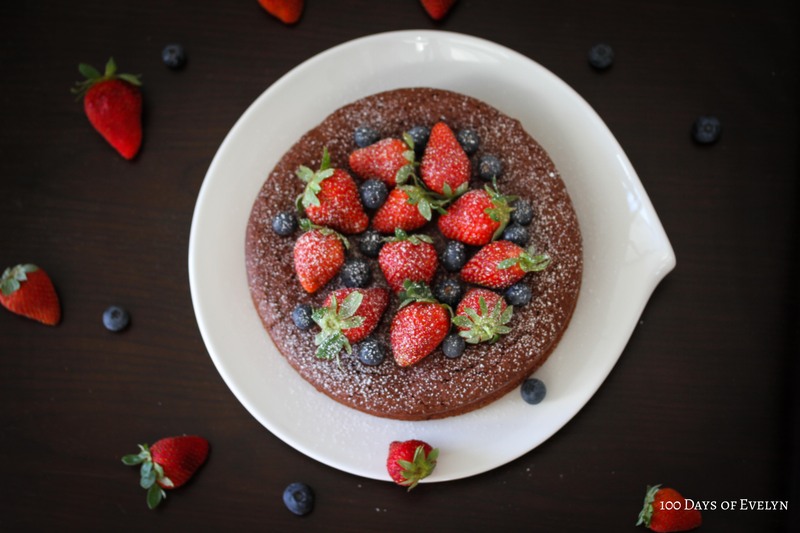 I really enjoyed making this – as I mentioned before, I usually expend my energies on dessert items so this is very different for me. Hope to pursue more savoury cooking soon. 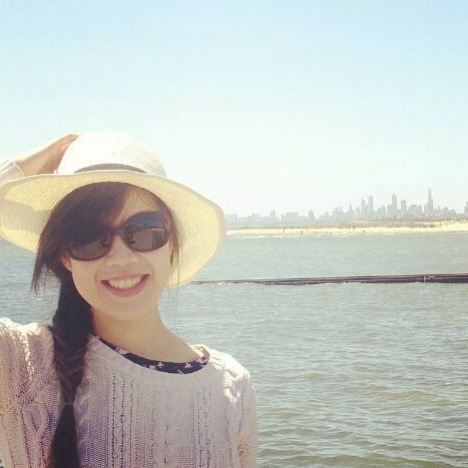 Spring in Melbourne is unpredictable. One day it’s sunny and beautiful, the next it is cold and dreary again. I was invited to a barbecue a week back and decided to bring some of these along. 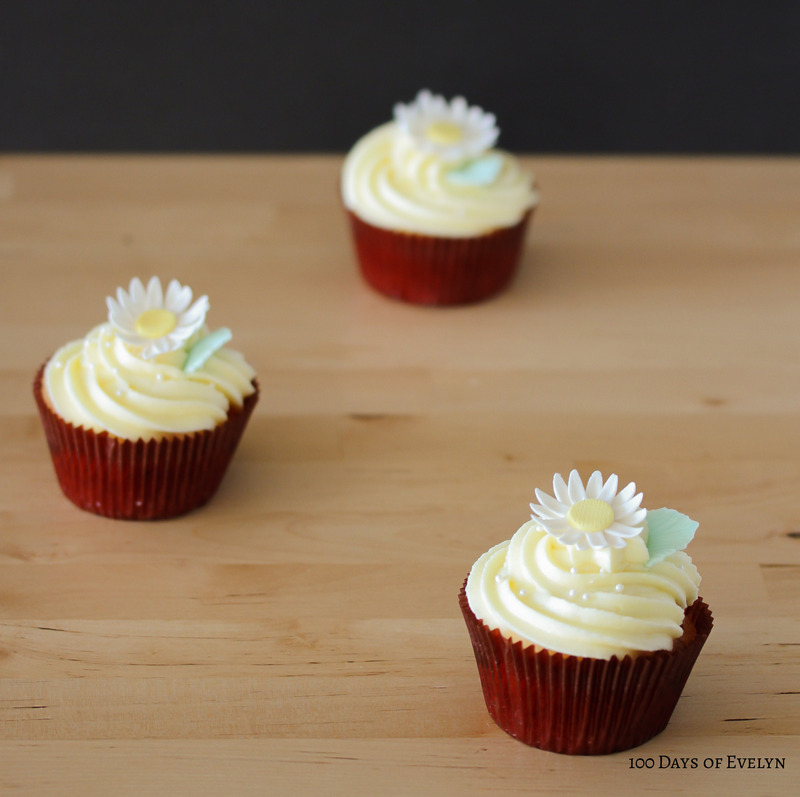 If these daisies look familiar, it’s because they were done exactly the same as the ones on my Daisy Bee Cupcakes. 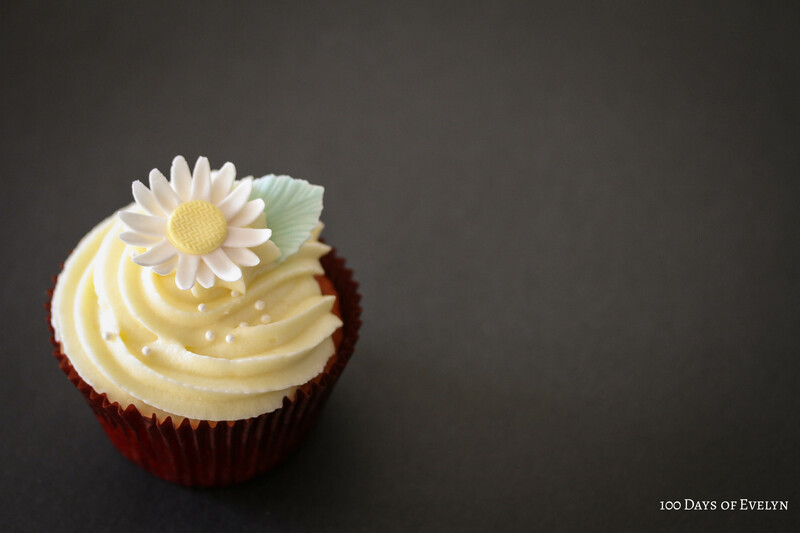 These were orange almond cupcakes with cream cheese frosting by the way – simple and easy. Recipe from here. Hello everyone! It has been a long time. Forgive me if my projects are less dramatic over the next coming months – I’m trying to make things that are less time consuming from now on. My current challenge is to clear out my pantry that’s bursting with ingredients that I have acquired over the years and the first item to go was almond meal. 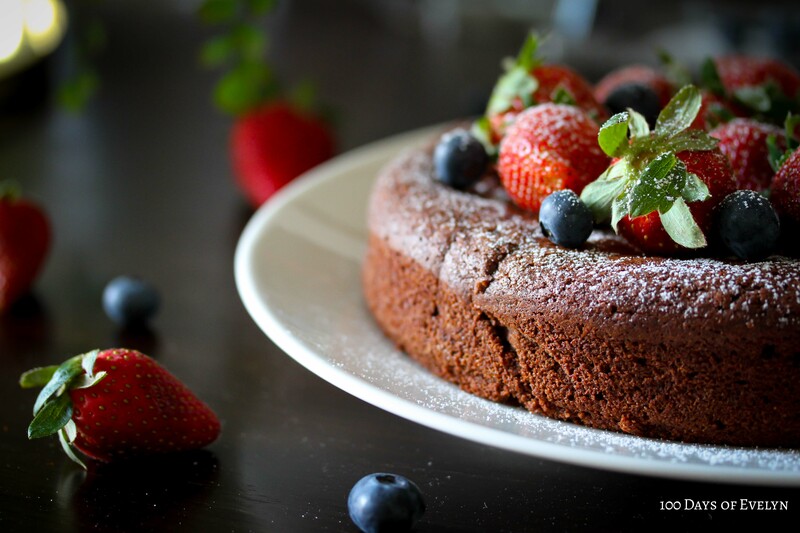 Anyway, we had friends over for dinner a couple of weeks back and I decided to go for a flourless chocolate cake – recipe from here. The only difference is that I substituted the hazelnut meal with almond meal. This cake keeps really moist and has an amazing texture. Definitely worth trying out the recipe. I have an obsessive personality, and lately I have been micromanaging my apartment into the perfect blend of ‘accidental’ chic and purposeful perfection. As a break from all of that, I decided to hop into the kitchen to make some jam drops. First step is to gather up all the ingredients. Story about the butter – Simon Johnson left Echire butter that was 2 days before the expiry date on their shelves and we bought some unknowingly. As an apology they gave us a block of Lescure for free because there wasn’t any Echire left. Not complaining! Vanilla from Heilala – supposedly award winning and whatnot. I haven’t tried out enough pastes to make a proper comment but seems good so far. Also, in line with the chia craze, I got a bottle of raspberry jam with chia from Henry Jones & Co. Yes – I’m always searching for the new and novel. That makes this recipe vaguely healthy, no? Preheat oven to 160 Celcius (fan-forced). Add egg yolk, flour and vanilla paste and combine. Roll into small balls and press a circle into the center. Spoon raspberry jam into the centers.